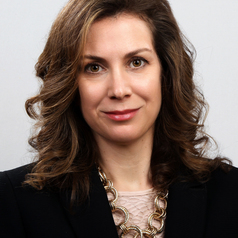 Suzanne J. Piotrowski is an Associate Professor of Public Affairs and Administration at Rutgers University-Newark and Director of the Transparency and Governance Center. Previously she served as the Deputy Dean for the School of Public Affairs and Administration and during the 2009/2010 academic year she held the position of Faculty Fellow in the Office of the Chancellor at Rutgers University-Newark. While on research leave in 2017, she was an Honorary Research Associate in the Department of Politics at University College London. Professor Piotrowski is a past chair of the American Society for Public Administration’s Section on Ethics and Integrity of Governance. She founded and moderates the International Transparency and Secrecy Research Network listserv. She served as the conference chair and founder of the 1st Global Conference on Transparency Research (Rutgers University-Newark, May 2011). She has consulted with the World Bank Institute on an evaluation of Thailand’s Official Information Act and with the Carter Center on a project assessing how access to information differentially affects women. She served as the independent assessor of the United States national action plan for the Open Government Partnership (OGP). Her primary research project during her 2017/18 research leave is a book project assessing the efficacy of the OGP in meeting its goals to supplant the historical tensions between performance and democratic accountability. Dr. Piotrowski's research focuses on mission-extrinsic values in public administration, including administrative transparency and open government. Professor Piotrowski writes widely on public management, accountability, and transparency issues and publishes extensively in academic journals and edited volumes. She authored the book Governmental Transparency in the Path of Administrative Reform, the Sate of University of New York Press (2007). In 2010, Lexington Books published Piotrowski’s edited volume Governmental Transparency and Secrecy: Linking Literature and Contemporary Debate.